Psychotherapy is a process in which you discuss your thoughts and feelings in order to gain insight into the issues that are causing you distress and to make positive changes in your life. Therapy is most effective if it addresses both current problems and the deeper issues underlying them. What will happen in the first psychotherapy session? The first session is a chance for you and your therapist to get to know each other and to assess whether the two of you think you can work together. Your therapist will ask you questions about the issues you are currently trying to cope with. She will ask you about your current life, your friendships/relationships, and your family and your background. The therapist will also devote some time to discussing her policies regarding fees, cancellations, vacations, insurance, etc. The first session is also a time for you to ask your therapist any questions you may have. Is my psychotherapist going to focus mainly on my childhood? You and your therapist will try to look at your past, present and future. Talking about your childhood may help you understand the conscious and unconscious messages you received from your family. Understanding your past can shed light on your current relationships and your internal struggles. However, your therapist will also help you learn to cope with current situations, as well as set goals for the future. How often will I need to come to psychotherapy to feel better? Psychotherapy is a very individualized process. Given your issues and therapy goals, you and your therapist will determine what schedule will be most helpful. However, it is usually recommended that you attend psychotherapy at least once a week to develop a sense of continuity between you and your therapist. I have limited time/money. Can I come every other week? In the beginning phase of therapy, we do not recommend that you attend less then once a week. We find that if a client comes less than weekly, it is difficult to form a connection with your therapist and your progress will be slow. We strongly suggest that you make your therapy a priority and make the time to come weekly. Some clients come less frequently after they feel significantly better, or are making the transition to ending therapy. How long will I need to attend psychotherapy? The length of time you will need to be in psychotherapy varies from person to person. It depends on your therapy goals, the amount of distress you are experiencing, the length of time you have been in pain, how often you attend psychotherapy. Most people attend for at least several months, and many for several years. If you have a specific problem, such as getting over a breakup, you may resolve this fairly quickly. More complex problems require more time. Even if you decide to or have to stop before you reach all of your therapy goals, the tools, insight, and accomplishments that you gained while in therapy will continue working for you. You can also choose to resume psychotherapy at any point in the future. How will I find the right therapist? Finding a therapist who is a "good fit" for you is essential. Try to listen to your "gut" about the therapist: Do you feel comfortable talking to her, do you feel that you could potentially tell this person thoughts and feelings that may be hard for you to share with anyone. Since beginning psychotherapy can be scary, you may need to meet with a therapist a few times in order to figure out whether you feel comfortable. Look for a therapist who has expertise in the particular area(s) that you think you want to work on. Ask whether the psychotherapist is trained and licensed in counseling, social work, psychology, or psychiatry. If she is not licensed, you should ask where she is being trained and whether she is under the supervision of someone who is licensed in one of the above-mentioned fields. 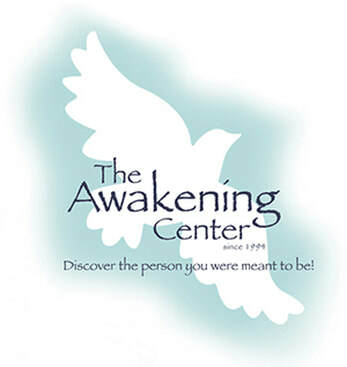 All Awakening Center therapists are licensed or receiving supervision by licensed therapists. What are the differences between psychiatrists, psychologists, social workers, and professional counselors? A psychiatrist has undergone medical training and is authorized to prescribe medication. Some psychiatrists also practice psychotherapy while others handle medication management only. Psychologists, social workers, and professional counselors all receive training in psychotherapy. Each discipline approaches the therapeutic process from a somewhat different angle. However, as a general rule, it is better to base your choice of therapist on a personal connection rather than on their training background alone. What if I have been in therapy before and it didn't work? Your success in treatment depends on finding the right therapist for you. If one therapist was not able to help you, don¹t give up on therapy; keep trying until you find the right person. Talk to your new therapist about what went wrong in the past. Feel free to share your reactions to your therapist as your therapy progresses. What if I am not sure what I need from therapy? Many people who begin psychotherapy do not know exactly what they need. Clients commonly come in for a specific problem and come to realize they have other goals. A therapist can help you think through what your needs are, and after she gets to know you, can give you her professional opinion about what may be helpful for you to address. What is the difference between outpatient psychotherapy and partial hospitalization? Outpatient psychotherapy means you go to the office of a psychotherapist for a session that lasts between 45 minutes to one hour one or more times a week. Partial hospitalization means that you are attending a program, usually located in a hospital, that meets several hours a day, several days a week. A partial hospitalization program has many comprehensive services such as individual, family, and group psychotherapy, support groups, expressive therapy groups, and medication management. What are the differences among psychodynamic, cognitive/behavioral, and experiential therapies? A psychodynamic approach examines conflicts within yourself as well as patterns you tend to repeat in your relationships. There are many different psychodynamic models such as Self Psychology, Interpersonal and Relational Theory, and Internal Family Systems. Cognitive/Behavioral Therapy (CBT) addresses symptoms directly by focusing on maladaptive thoughts and behaviors. Dialectical Behavioral Therapy is an innovative form of CBT that focuses on managing strong emotions. Experiential therapy uses expressive methods like art and movement or strategies like mindfulness meditation. These techniques are ways to get closer to buried feelings and states of mind. The therapists at The Awakening Center are integrative or eclectic, blending elements of all these approaches. What is the difference between psychotherapy and psychoanalysis? tried several psychotherapists and have not experienced significant improvement.